A trio of Missouri Southern students are playing active roles in the renovation of three historic Joplin homes. Located in the Murphysburg area west of Third and Main Streets, the homes – built in the 1890s – will eventually be shining examples of historic residential rehabilitation in Missouri. The Schifferdecker, Zelleken, and Rogers houses, all located in the vicinity of Fourth Street and Sergeant Avenue, are being intensely studied, restored and fitted with period furniture. Those who eventually view them will be taken back to the fin de siècle, the time of the Spanish American War, the World’s Columbian Exposition and the presidencies of Harrison, Cleveland and McKinley. The effort has been spearheaded by Joplin businessman David Humphreys, who created the non-profit Joplin Historical Neighborhoods, Inc. organization in 2017. Missouri Southern State University’s Community Historian Brad Belk serves as director of the homes. Belk oversees day-to-day operations, researches building history, creates educational programs and curates the collections, and handles a myriad assortment of other jobs. 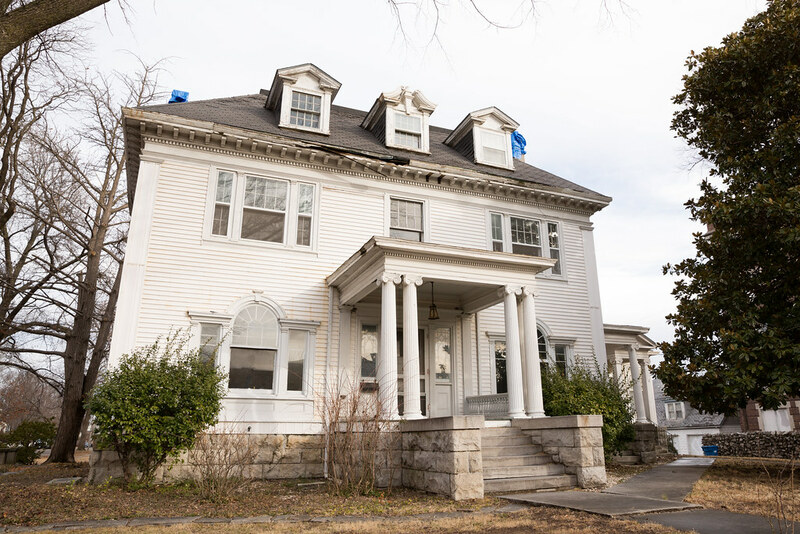 “The mission of Joplin Historical Neighborhoods, Inc. is to restore, preserve and commemorate the former residences and associated buildings of Charles Schifferdecker, Edward Zelleken and Alfred Harrison Rogers,” Belk says, adding that the renovation work will take three years. Three Missouri Southern Honors program students – Katy Kay Williams, Garrett Pekarek and Jaycee Vangle – are working as student assistants on the project. Williams has a unique interest in one of the homes. She actually grew up in the Schifferdecker House, and only moved out in March of last year. Pekarek, a sociology major, says he’s interested in the Murphysburg area, especially how many of the big family dwellings changed into apartment complexes over the years. Jaycee Vangle, an education major, says she has always had an interest in downtown Joplin and the history and preservation of architecture. “After seeing so many buildings demolished in the last 40-50 years, it is really important to preserve houses for future generations,” says Vangle.